About an hour into the 15 kilometers road walk to the trail head, I spot someone walking far ahead in the distance. Thanks to my miserable eyesight, I initially think it's a farmer looking after his cattle or sheep. The closer I get though, the clearer it gets that's actually a hiker. Quite unexpected to meet one here so early in the morning. 23 years old Aurélien (I hope I spell his name more or less correctly), obviously from France, is hiking TA as well and camped somewhere beside the road. Together we walk to the trail head, where he speeds up and is soon out of sight. The initial part of the track to Emerald Pools is a pleasure to hike. Mostly flat, well formed ans grippy. A good warm-up to what's yet to come. 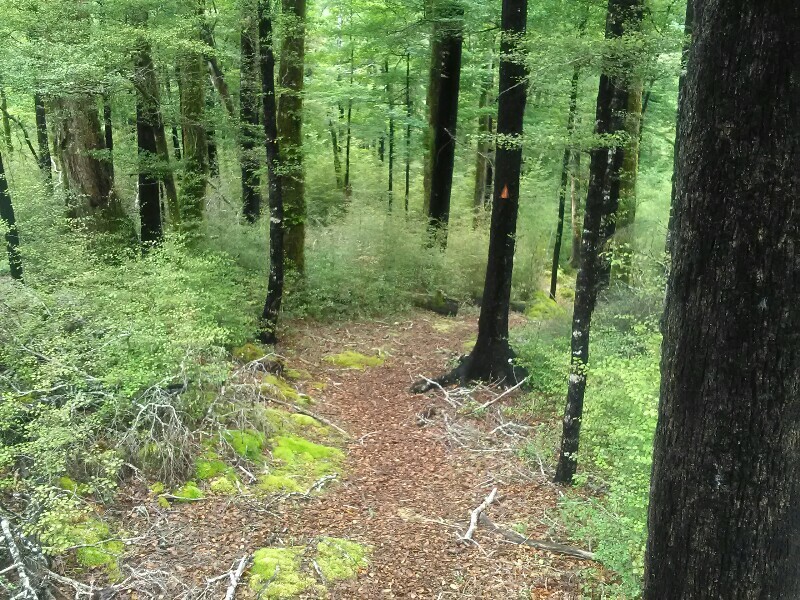 Once past the pools, the track gets a bit rougher but still a far cry from some of the shabby North Island tracks ;) Progress is good and I'm way faster than the displayed hiking times (which doesn't happen too often on tramping tracks). Anyway, as it's only 2 hours to Middy Hut and I'll try my luck there. 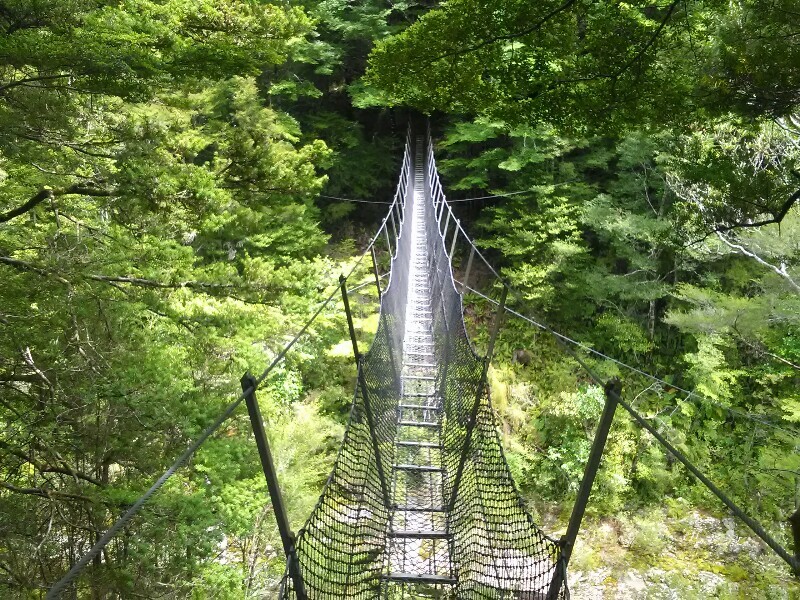 On my way to the hut, I cross several swing bridges. Although I'm sure they are safe, I don't feel particularly comfortable on them. I bump into Aurélien again, who has some bad blisters and obviously is suffering. Middy Hut would have been my planned overnight spot. Since it's only two and with bad weather predicted for tomorrow, we decide to slowly hike another 5 kilometers and climb up 600 meters to Rocks Hut. Aurélien doesn't like huts and continues to find a good camping spot. For me, this lovely, spacious hut with flush toilets (!) is a perfect place to spend the night. 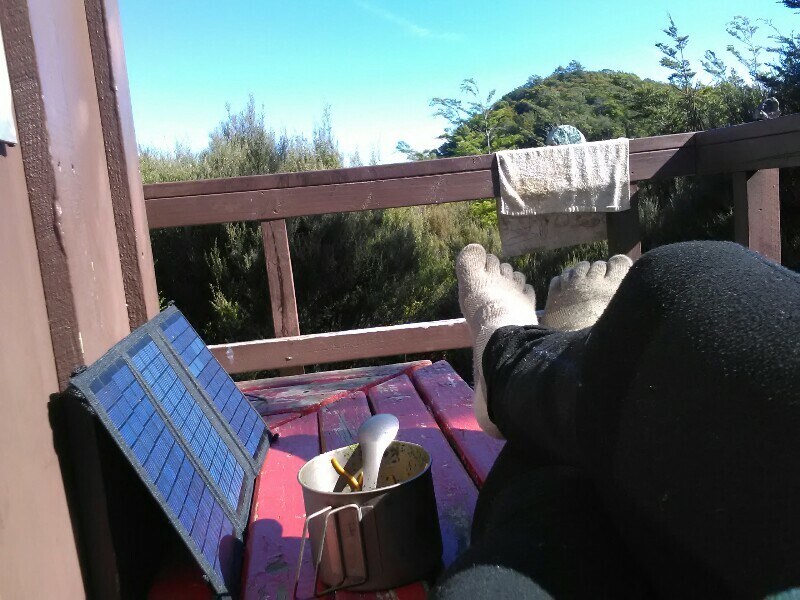 The slightly elevated hut allows me to enjoy my spaghetti on the bench in front of the hut in the warm evening sun. What a way to end my first day in the Ranges.